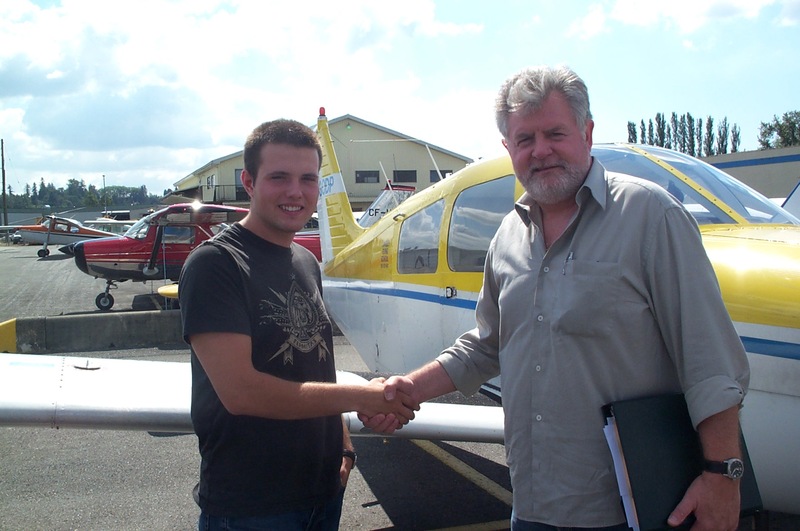 Ryan Fielding, Private Pilot Flight Test, Langley Flying School. 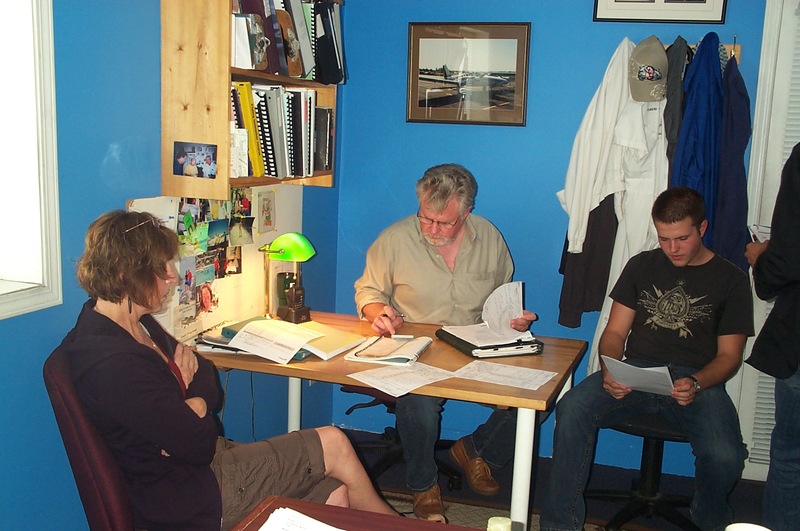 Ryan Fielding with Paul Harris and his Flight Instructor, Rita Methorst during the post-Flight Test de-briefing. 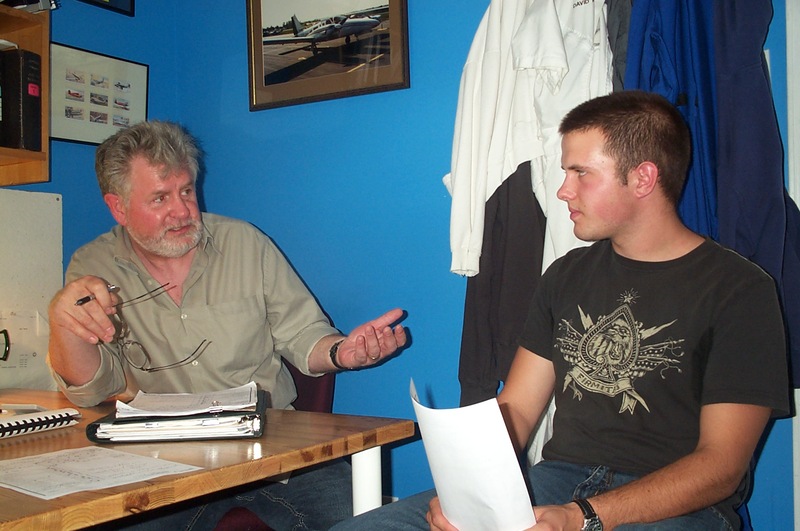 Ryan Fielding receives congrats from his Pilot Examiner Paul Harris after the successful completion of Ryan's Private Pilot Flight Test on August 30, 2010. Congratulations also to Ryan's Flight Instructor, Rita Methorst.